Anglesey Marine Supplies..Attwood silver range of universal boat covers supplied, to suit all boats from 14 feet to 23 feet. 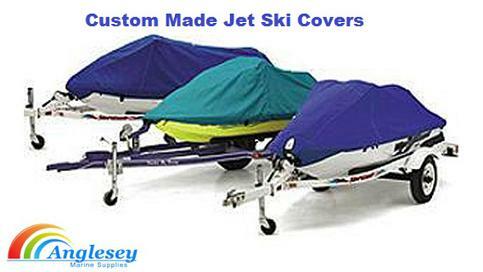 Custom made Jetski covers also supplied to cater for every type of jet ski. Yamaha jetski, Seadoo jetski, Kawasaki jetski etc. 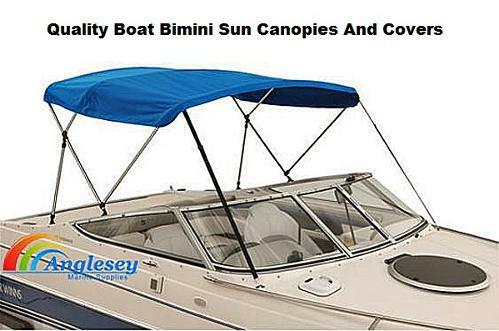 Bimini Boat Sun Canopy Covers supplied, 3 arch or two arch. 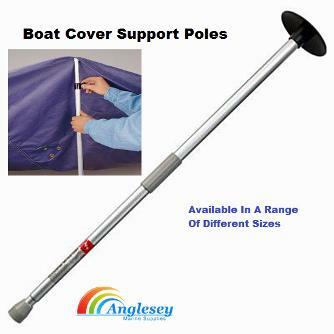 Also supplying boat cover support poles to prevent sagging boat covers. 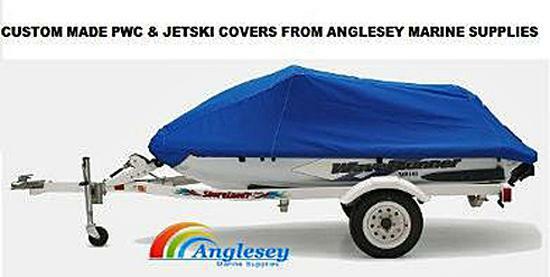 Quality jet ski covers, boat covers and pwc covers from Anglesey Marine Supplies. A universal boat cover for the price conscience made from 200 denier polyester, a fabric that is strong, durable and waterproof. All supplied with adjustable elastic hem cord and gunwale tie-down loops. A very competitive price cover. 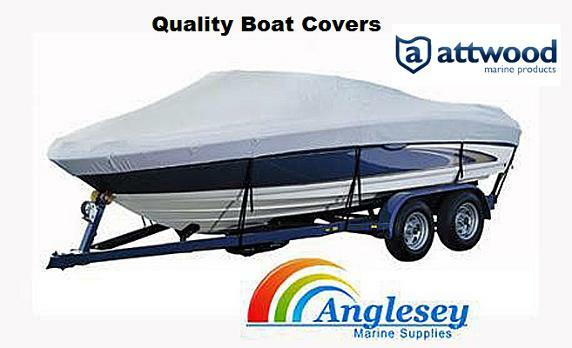 Quality boat covers from Anglesey Marine Supplies. A universal boat covers for the price conscience made from 200 denier polyester, a fabric that is strong, durable and waterproof. All supplied with adjustable elastic hem cord and gunwale tie-down loops. 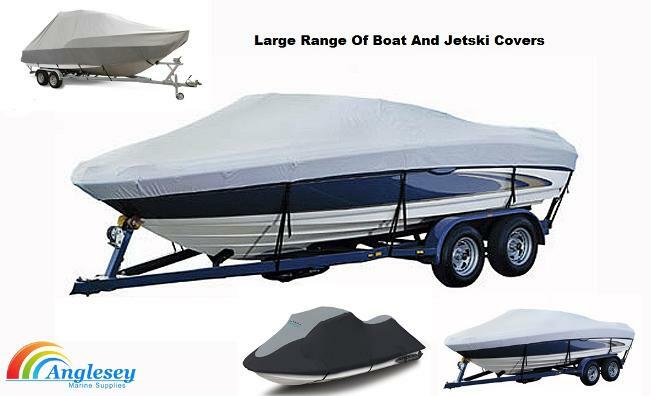 A very competitive price boat covers. Top in the UK for boat covers. A universal pwc jet ski covers for the price conscience made from 200 denier polyester, a fabric that is strong, durable and waterproof. All supplied with adjustable elastic hem cord and gunwale tie-down loops. 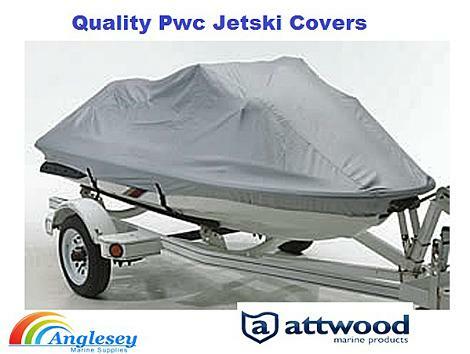 A very competitive price boat pwc jet ski covers. Top in the UK for boat covers. Each custom made jet ski covers is made by automatic design system to fit the boat perfectly, made from marine-grade polyester fabric for UV rays and mildew. Superior water resistance. The jet ski covers has double stitched hems and reinforced hem tabs.The pwc covers includes a tie-down kit and mesh storage bag. Features air-release for when towing. Please state colours preferred. Jetski covers colours are Black / Yellow or Black / Grey. All Jet skis and Pwcs catered for. Please choose colour required from drop menu and enter jet ski make and model in text box provided. 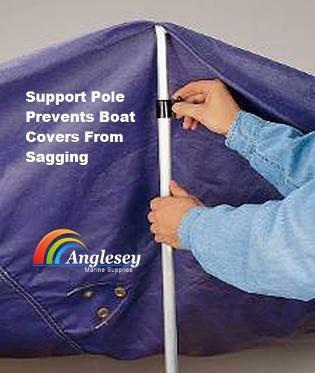 Boat cover support pole, helps to prevent sagging and water collection in the centre of the covers. 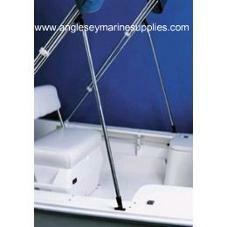 Two sizes of the boat cover support pole available 1) adjusts from 60-100cm 2) adjusts from 90-150cm. 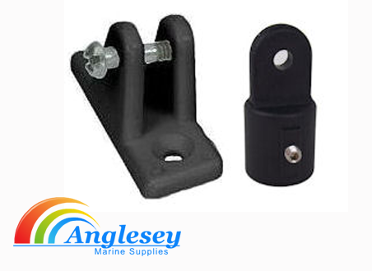 Boat cover support bar aluminium tonneau support bar, complete with retaining feet to fit inside gunwale of boat. Length of the boat cover support bar to be cut to suite beam of boat. Length supplied 2.14m. 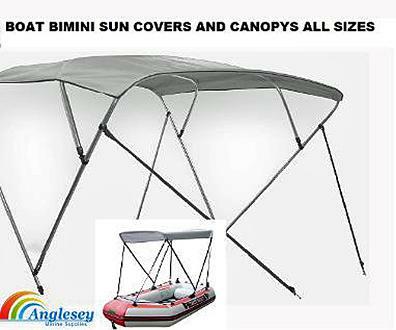 Anglesey Marine Supplies now supplies bimini boat sun cover and bimini boat sun canopy and fittings for all boats including ribs and inflatable boats, two and three arch covers available, manufactured from anodised aluminium tubing, with fixing bases and joints made from reinforced nylon. 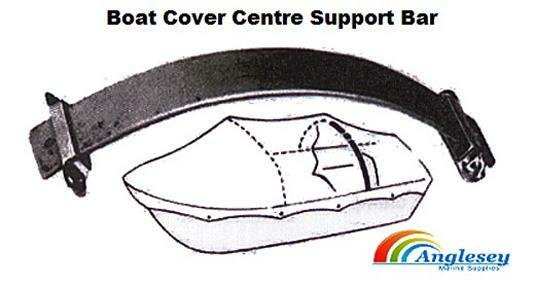 The bimini boat sun cover canopys are made from a special salt and sun resistant material. 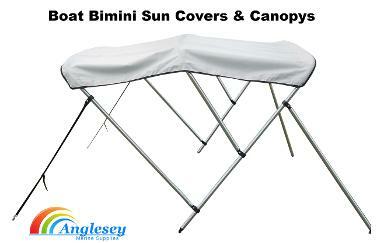 The bimini boat sun canopy provide excellent protection and shade from the sun, yet fold away neatly when not in use. Quality bimini top for boats at low prices. 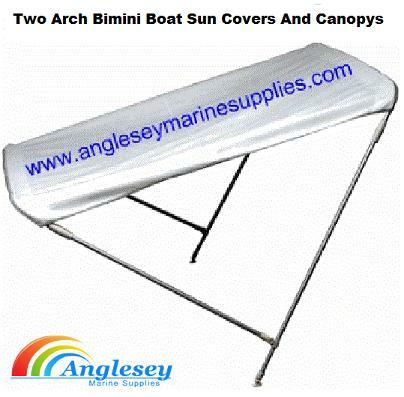 Folding two arch bimini boat Sun covers Boat sun canopy, made from anodised aluminium tube. fixing base and joint manufactured from reinforced nylon. Sun and salt resistant material. Canopy height is 110cm and Length is 180cm available in three different adjustable widths. Available in off white only. Please use side bar menu for width choice. 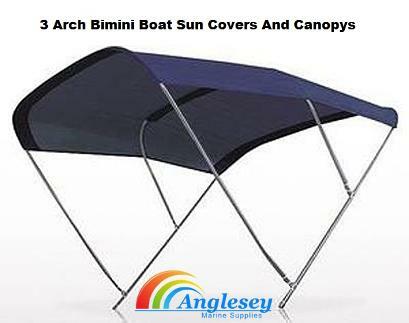 Folding 3 arch bimini boat sun cover, made from anodized aluminium tube. fixing base and joint manufactured from reinforced nylon. Sun and salt resistant material. 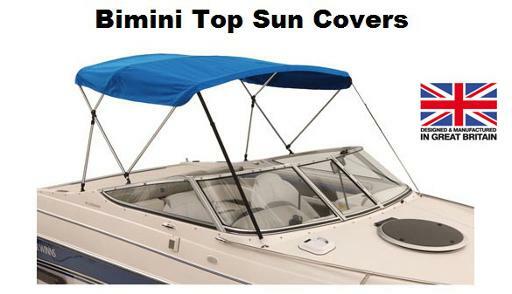 The bimini boat sun cover height is 110cm and Length is 180cm available in three different adjustable widths. Available in off white or blue. 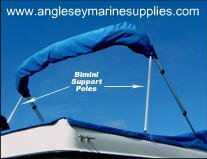 The bimini boat sun covers all come complete in an hold all, supplied with all ropes and fittings. Please use side bar menu for width choice. Bimini sun canopy Support Pole shade top support poles to brace the arch in a upright radar arch position above the cockpit. Manufactured from anodized aluminium tubing. 22mm in diameter and 130cm long. Supplied in pairs. 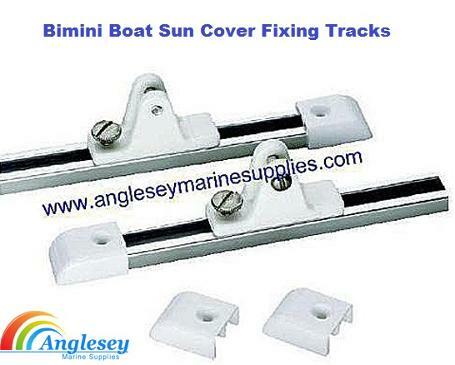 One pair of 36" long Bimini sun cover fixing tracks aluminium slider tracks provides adjustment for bimini awning and boat sun canopy top frames. Comes complete with nylon jaw slides, end caps and all nuts and bolts. 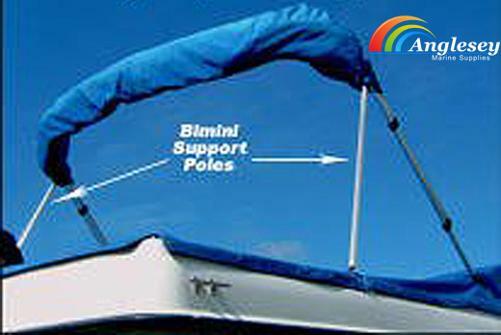 Horizontal bimini boat sun covers folding mount for all bimini sun covers and boat sun canopy using 22mm tubing.